Delivers 35 Highway MPG and 28 City MPG! This Toyota Corolla delivers a Regular Unleaded I-4 1.8 L/110 engine powering this Variable transmission. Window Grid Antenna, Wheels: 17 x 7.0 Machined Alloy -inc: black painted accents, Variable Intermittent Wipers. * This Toyota Corolla Features the Following Options *Urethane Gear Shift Knob, Trunk Rear Cargo Access, Trip Computer, Transmission: Continuously Variable (CVTi-S), Transmission w/Driver Selectable Mode and Sequential Shift Control w/Steering Wheel Controls, Toyota Safety Sense P, Torsion Beam Rear Suspension w/Coil Springs, Tires: P215/45R17 All-Season, Strut Front Suspension w/Coil Springs, Steel Spare Wheel. * Stop By Today *Test drive this must-see, must-drive, must-own beauty today at Team Toyota, 400 INDIANAPOLIS BLVD, SCHERERVILLE, IN 46375. Come see this versatile 2020 Toyota Corolla . .* Visit Us Today *Stop by Team Toyota located at 400 INDIANAPOLIS BLVD, SCHERERVILLE, IN 46375 for a quick visit and a great vehicle! Delivers 38 Highway MPG and 30 City MPG! This Toyota Corolla delivers a Regular Unleaded I-4 1.8 L/110 engine powering this Variable transmission. Wheels: 16 Wide Vent Steel, Wheels w/Full Wheel Covers, Variable Intermittent Wipers. *This Toyota Corolla Comes Equipped with These Options *Urethane Gear Shift Knob, Trunk Rear Cargo Access, Trip Computer, Transmission: Continuously Variable (CVTi-S), Transmission w/Driver Selectable Mode and Sequential Shift Control w/Steering Wheel Controls, Toyota Safety Sense (TSS) 2.0, Tires: P205/55R16 All-Season, Tire Specific Low Tire Pressure Warning, Systems Monitor, Strut Front Suspension w/Coil Springs. * Visit Us Today *Come in for a quick visit at Team Toyota, 400 INDIANAPOLIS BLVD, SCHERERVILLE, IN 46375 to claim your Toyota Corolla! Delivers 38 Highway MPG and 30 City MPG! This Toyota Corolla boasts a Regular Unleaded I-4 1.8 L/110 engine powering this Variable transmission. Wheels: 16 Wide Vent Steel, Wheels w/Full Wheel Covers, Variable Intermittent Wipers. *This Toyota Corolla Comes Equipped with These Options *Urethane Gear Shift Knob, Trunk Rear Cargo Access, Trip Computer, Transmission: Continuously Variable (CVTi-S), Transmission w/Driver Selectable Mode and Sequential Shift Control w/Steering Wheel Controls, Toyota Safety Sense (TSS) 2.0, Tires: P205/55R16 All-Season, Tire Specific Low Tire Pressure Warning, Systems Monitor, Strut Front Suspension w/Coil Springs. * Visit Us Today *For a must-own Toyota Corolla come see us at Team Toyota, 400 INDIANAPOLIS BLVD, SCHERERVILLE, IN 46375. Just minutes away! Boasts 38 Highway MPG and 30 City MPG! This Toyota Corolla boasts a Regular Unleaded I-4 1.8 L/110 engine powering this Variable transmission. Wheels: 16 Wide Vent Steel, Wheels w/Full Wheel Covers, Variable Intermittent Wipers. * This Toyota Corolla Features the Following Options *Urethane Gear Shift Knob, Trunk Rear Cargo Access, Trip Computer, Transmission: Continuously Variable (CVTi-S), Transmission w/Driver Selectable Mode and Sequential Shift Control w/Steering Wheel Controls, Toyota Safety Sense (TSS) 2.0, Tires: P205/55R16 All-Season, Tire Specific Low Tire Pressure Warning, Systems Monitor, Strut Front Suspension w/Coil Springs. * Stop By Today *Come in for a quick visit at Team Toyota, 400 INDIANAPOLIS BLVD, SCHERERVILLE, IN 46375 to claim your Toyota Corolla! Scores 38 Highway MPG and 30 City MPG! This Toyota Corolla boasts a Regular Unleaded I-4 1.8 L/110 engine powering this Variable transmission. Wheels: 16 Wide Vent Steel, Wheels w/Full Wheel Covers, Variable Intermittent Wipers. * This Toyota Corolla Features the Following Options *Urethane Gear Shift Knob, Trunk Rear Cargo Access, Trip Computer, Transmission: Continuously Variable (CVTi-S), Transmission w/Driver Selectable Mode and Sequential Shift Control w/Steering Wheel Controls, Toyota Safety Sense (TSS) 2.0, Tires: P205/55R16 All-Season, Tire Specific Low Tire Pressure Warning, Systems Monitor, Strut Front Suspension w/Coil Springs. 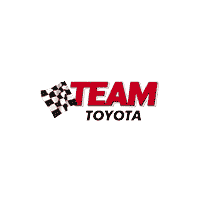 * Visit Us Today *Stop by Team Toyota located at 400 INDIANAPOLIS BLVD, SCHERERVILLE, IN 46375 for a quick visit and a great vehicle! Boasts 38 Highway MPG and 30 City MPG! This Toyota Corolla boasts a Regular Unleaded I-4 1.8 L/110 engine powering this Variable transmission. Wheels: 15 Styled Steel, Wheels w/Full Wheel Covers, Urethane Gear Shift Knob. *This Toyota Corolla Comes Equipped with These Options *Trunk Rear Cargo Access, Trip Computer, Transmission: Continuously Variable (CVTi-S), Transmission w/Driver Selectable Mode and Sequential Shift Control w/Steering Wheel Controls, Toyota Safety Sense (TSS) 2.0, Tires: P195/65R15 All-Season, Tire Specific Low Tire Pressure Warning, Systems Monitor, Strut Front Suspension w/Coil Springs, Steel Spare Wheel. * Stop By Today *Live a little- stop by Team Toyota located at 400 INDIANAPOLIS BLVD, SCHERERVILLE, IN 46375 to make this car yours today! Delivers 38 Highway MPG and 30 City MPG! This Toyota Corolla delivers a Regular Unleaded I-4 1.8 L/110 engine powering this Variable transmission. Wheels: 15 Styled Steel, Wheels w/Full Wheel Covers, Urethane Gear Shift Knob. * This Toyota Corolla Features the Following Options *Trunk Rear Cargo Access, Trip Computer, Transmission: Continuously Variable (CVTi-S), Transmission w/Driver Selectable Mode and Sequential Shift Control w/Steering Wheel Controls, Toyota Safety Sense (TSS) 2.0, Tires: P195/65R15 All-Season, Tire Specific Low Tire Pressure Warning, Systems Monitor, Strut Front Suspension w/Coil Springs, Steel Spare Wheel. * Visit Us Today *Come in for a quick visit at Team Toyota, 400 INDIANAPOLIS BLVD, SCHERERVILLE, IN 46375 to claim your Toyota Corolla! Scores 38 Highway MPG and 30 City MPG! This Toyota Corolla delivers a Regular Unleaded I-4 1.8 L/110 engine powering this Variable transmission. Wheels: 16 Wide Vent Steel, Wheels w/Full Wheel Covers, Variable Intermittent Wipers. *This Toyota Corolla Comes Equipped with These Options *Urethane Gear Shift Knob, Trunk Rear Cargo Access, Trip Computer, Transmission: Continuously Variable (CVTi-S), Transmission w/Driver Selectable Mode and Sequential Shift Control w/Steering Wheel Controls, Toyota Safety Sense (TSS) 2.0, Tires: P205/55R16 All-Season, Tire Specific Low Tire Pressure Warning, Systems Monitor, Strut Front Suspension w/Coil Springs. * Stop By Today *You've earned this- stop by Team Toyota located at 400 INDIANAPOLIS BLVD, SCHERERVILLE, IN 46375 to make this car yours today! Boasts 38 Highway MPG and 30 City MPG! This Toyota Corolla delivers a Regular Unleaded I-4 1.8 L/110 engine powering this Variable transmission. Wheels: 16 Wide Vent Steel, Wheels w/Full Wheel Covers, Variable Intermittent Wipers. *This Toyota Corolla Comes Equipped with These Options *Urethane Gear Shift Knob, Trunk Rear Cargo Access, Trip Computer, Transmission: Continuously Variable (CVTi-S), Transmission w/Driver Selectable Mode and Sequential Shift Control w/Steering Wheel Controls, Toyota Safety Sense (TSS) 2.0, Tires: P205/55R16 All-Season, Tire Specific Low Tire Pressure Warning, Systems Monitor, Strut Front Suspension w/Coil Springs. * Visit Us Today *Treat yourself- stop by Team Toyota located at 400 INDIANAPOLIS BLVD, SCHERERVILLE, IN 46375 to make this car yours today! Boasts 35 Highway MPG and 28 City MPG! This Toyota Corolla boasts a Regular Unleaded I-4 1.8 L/110 engine powering this Variable transmission. Window Grid Antenna, Wheels: 17 x 7.0 Machined Alloy -inc: black painted accents, Variable Intermittent Wipers. *This Toyota Corolla Comes Equipped with These Options *Urethane Gear Shift Knob, Trunk Rear Cargo Access, Trip Computer, Transmission: Continuously Variable (CVTi-S), Transmission w/Driver Selectable Mode and Sequential Shift Control w/Steering Wheel Controls, Toyota Safety Sense P, Torsion Beam Rear Suspension w/Coil Springs, Tires: P215/45R17 All-Season, Strut Front Suspension w/Coil Springs, Steel Spare Wheel. * Visit Us Today *You've earned this- stop by Team Toyota located at 400 INDIANAPOLIS BLVD, SCHERERVILLE, IN 46375 to make this car yours today! Boasts 40 Highway MPG and 31 City MPG! This Toyota Corolla boasts a Regular Unleaded I-4 2.0 L/121 engine powering this Variable transmission. Wheels: 18 Machined Alloy -inc: dark gray painted accents, Variable Intermittent Wipers, Trunk Rear Cargo Access. * This Toyota Corolla Features the Following Options *Trip Computer, Transmission: Dynamic Shift CVT -inc: physical first launch gear and normal and sport driving modes, Transmission w/Sequential Shift Control w/Steering Wheel Controls, Toyota Safety Sense (TSS) 2.0, Tires: P225/40R18 All-Season, Tire Specific Low Tire Pressure Warning, Systems Monitor, Strut Front Suspension w/Coil Springs, Steel Spare Wheel, Side Impact Beams. * Visit Us Today *Test drive this must-see, must-drive, must-own beauty today at Team Toyota, 400 INDIANAPOLIS BLVD, SCHERERVILLE, IN 46375. Delivers 38 Highway MPG and 30 City MPG! This Toyota Corolla delivers a Regular Unleaded I-4 1.8 L/110 engine powering this Variable transmission. Wheels: 16 Wide Vent Steel, Wheels w/Full Wheel Covers, Variable Intermittent Wipers. * This Toyota Corolla Features the Following Options *Urethane Gear Shift Knob, Trunk Rear Cargo Access, Trip Computer, Transmission: Continuously Variable (CVTi-S), Transmission w/Driver Selectable Mode and Sequential Shift Control w/Steering Wheel Controls, Toyota Safety Sense (TSS) 2.0, Tires: P205/55R16 All-Season, Tire Specific Low Tire Pressure Warning, Systems Monitor, Strut Front Suspension w/Coil Springs. * Visit Us Today *Come in for a quick visit at Team Toyota, 400 INDIANAPOLIS BLVD, SCHERERVILLE, IN 46375 to claim your Toyota Corolla! Delivers 40 Highway MPG and 31 City MPG! This Toyota Corolla delivers a Regular Unleaded I-4 2.0 L/121 engine powering this Variable transmission. Wheels: 18 Machined Alloy -inc: dark gray painted accents, Variable Intermittent Wipers, Trunk Rear Cargo Access. * This Toyota Corolla Features the Following Options *Trip Computer, Transmission: Dynamic Shift CVT -inc: physical first launch gear and normal and sport driving modes, Transmission w/Sequential Shift Control w/Steering Wheel Controls, Toyota Safety Sense (TSS) 2.0, Tires: P225/40R18 All-Season, Tire Specific Low Tire Pressure Warning, Systems Monitor, Strut Front Suspension w/Coil Springs, Steel Spare Wheel, Side Impact Beams. * Visit Us Today *Come in for a quick visit at Team Toyota, 400 INDIANAPOLIS BLVD, SCHERERVILLE, IN 46375 to claim your Toyota Corolla! Delivers 40 Highway MPG and 31 City MPG! This Toyota Corolla boasts a Regular Unleaded I-4 2.0 L/121 engine powering this Variable transmission. Wheels: 18 Machined Alloy -inc: dark gray painted accents, Variable Intermittent Wipers, Trunk Rear Cargo Access. *This Toyota Corolla Comes Equipped with These Options *Trip Computer, Transmission: Dynamic Shift CVT -inc: physical first launch gear and normal and sport driving modes, Transmission w/Sequential Shift Control w/Steering Wheel Controls, Toyota Safety Sense (TSS) 2.0, Tires: P225/40R18 All-Season, Tire Specific Low Tire Pressure Warning, Systems Monitor, Strut Front Suspension w/Coil Springs, Steel Spare Wheel, Side Impact Beams. * Stop By Today *A short visit to Team Toyota located at 400 INDIANAPOLIS BLVD, SCHERERVILLE, IN 46375 can get you a tried-and-true Corolla today! Boasts 52 Highway MPG and 53 City MPG! This Toyota Corolla boasts a Gas/Electric I-4 1.8 L/110 engine powering this Variable transmission. Wheels: 15 Machined Alloy, Wheels w/Full Wheel Covers, Variable Intermittent Wipers. *This Toyota Corolla Comes Equipped with These Options *Urethane Gear Shift Knob, Trunk Rear Cargo Access, Trip Computer, Transmission: CVTi, Transmission w/Sequential Shift Control, Toyota Safety Sense (TSS) 2.0, Tires: P195/65R15 All-Season, Tire Specific Low Tire Pressure Warning, Systems Monitor, Strut Front Suspension w/Coil Springs. * Visit Us Today *Stop by Team Toyota located at 400 INDIANAPOLIS BLVD, SCHERERVILLE, IN 46375 for a quick visit and a great vehicle! Delivers 40 Highway MPG and 31 City MPG! This Toyota Corolla boasts a Regular Unleaded I-4 2.0 L/121 engine powering this Variable transmission. Wheels: 18 Machined Alloy -inc: dark gray painted accents, Variable Intermittent Wipers, Trunk Rear Cargo Access. * This Toyota Corolla Features the Following Options *Trip Computer, Transmission: Dynamic Shift CVT -inc: physical first launch gear and normal and sport driving modes, Transmission w/Sequential Shift Control w/Steering Wheel Controls, Toyota Safety Sense (TSS) 2.0, Tires: P225/40R18 All-Season, Tire Specific Low Tire Pressure Warning, Systems Monitor, Strut Front Suspension w/Coil Springs, Steel Spare Wheel, Side Impact Beams. * Stop By Today *Live a little- stop by Team Toyota located at 400 INDIANAPOLIS BLVD, SCHERERVILLE, IN 46375 to make this car yours today! Boasts 40 Highway MPG and 31 City MPG! This Toyota Corolla delivers a Regular Unleaded I-4 2.0 L/121 engine powering this Variable transmission. Wheels: 18 Machined Alloy -inc: dark gray painted accents, Variable Intermittent Wipers, Trunk Rear Cargo Access. * This Toyota Corolla Features the Following Options *Trip Computer, Transmission: Dynamic Shift CVT -inc: physical first launch gear and normal and sport driving modes, Transmission w/Sequential Shift Control w/Steering Wheel Controls, Toyota Safety Sense (TSS) 2.0, Tires: P225/40R18 All-Season, Tire Specific Low Tire Pressure Warning, Systems Monitor, Strut Front Suspension w/Coil Springs, Steel Spare Wheel, Side Impact Beams. * Stop By Today *Come in for a quick visit at Team Toyota, 400 INDIANAPOLIS BLVD, SCHERERVILLE, IN 46375 to claim your Toyota Corolla! Scores 40 Highway MPG and 31 City MPG! This Toyota Corolla boasts a Regular Unleaded I-4 2.0 L/121 engine powering this Variable transmission. Wheels: 18 Machined Alloy -inc: dark gray painted accents, Variable Intermittent Wipers, Trunk Rear Cargo Access. *This Toyota Corolla Comes Equipped with These Options *Trip Computer, Transmission: Dynamic Shift CVT -inc: physical first launch gear and normal and sport driving modes, Transmission w/Sequential Shift Control w/Steering Wheel Controls, Toyota Safety Sense (TSS) 2.0, Tires: P225/40R18 All-Season, Tire Specific Low Tire Pressure Warning, Systems Monitor, Strut Front Suspension w/Coil Springs, Steel Spare Wheel, Side Impact Beams. * Visit Us Today *A short visit to Team Toyota located at 400 INDIANAPOLIS BLVD, SCHERERVILLE, IN 46375 can get you a dependable Corolla today! Delivers 38 Highway MPG and 31 City MPG! This Toyota Corolla delivers a Regular Unleaded I-4 2.0 L/121 engine powering this Variable transmission. Wheels: 18 Machined Alloy -inc: dark gray painted accents, Variable Intermittent Wipers, Trunk Rear Cargo Access. * This Toyota Corolla Features the Following Options *Trip Computer, Transmission: Dynamic Shift CVT -inc: physical first launch gear and normal and sport driving modes, Transmission w/Sequential Shift Control w/Steering Wheel Controls, Toyota Safety Sense (TSS) 2.0, Tires: P225/40R18 All-Season, Tire Specific Low Tire Pressure Warning, Systems Monitor, Strut Front Suspension w/Coil Springs, Steel Spare Wheel, SofTex Leather Seat Trim -inc: sport fabric inserts. * Stop By Today *You've earned this- stop by Team Toyota located at 400 INDIANAPOLIS BLVD, SCHERERVILLE, IN 46375 to make this car yours today!